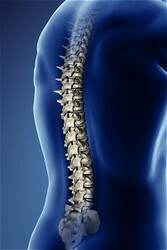 The first stage of spinal degeneration is when there is a loss of normal spine balance and spinal curvature. The surrounding features of the spine such as nerves, discs and joints begin to wear out quicker and are continually more stressed. This stage of the degeneration process may be accompanied with no major pain. At this point, there is a good chance that with the proper care, you can return to normal. In the second stage of spinal degeneration, there is a often narrowing of the discs and potentially bone spurs forming on the vertebrae. Posture is often beginning to degenerate as well at this point. As the spinal canal and/or openings between the vertebrae begins to narrow, there may be significant aches and pains associated and even cases of disc bulge and herniation. Fatigue and stress are more common at this stage. There is a good chance of improvement at this stage with the proper care. In the third stage of spinal degeneration, there is significant physical and mental involvement due to the level of issues here. There is most likely nerve damage as well as deformation of the bones and discs. There would a significant loss of energy and height at this point. Some reversal may be possible.